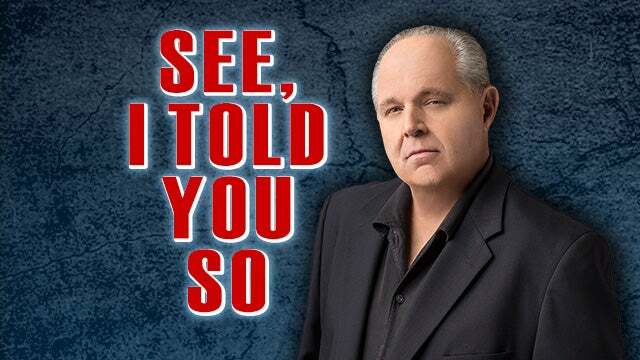 RUSH: Up first, the Supreme Court decision, which is not a surprise to me. I gave everybody guidance back on December 7th last year that it was gonna go this way. In fact, let’s listen to me last December 7th after I had heard about oral arguments on this case. This is what I said to you. RUSH ARCHIVE: Folks, I want to mention something that is happening, and it’s not being commented on. It’s in the news, but it’s never gonna be above the fold because of everything else going on. 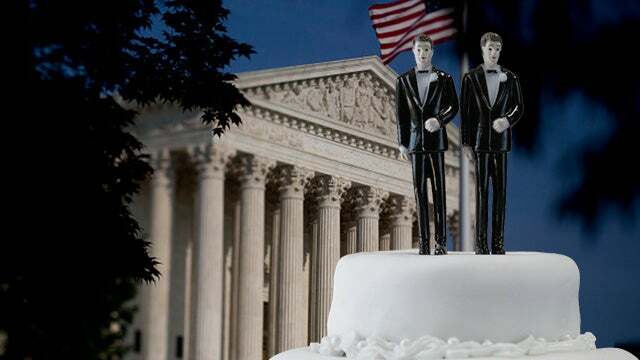 But the Supreme Court has heard oral arguments on this case involving the baker who refused to bake a cake for a gay wedding. The oral arguments were at the Supreme Court this week and, you know, you can’t predict how a case is gonna go from oral arguments. People try, but you can’t. RUSH: Who wrote the opinion. RUSH ARCHIVE: — and Justice Gorsuch on this look like it’s good for the baker. RUSH: Told you. And it was Justice Kennedy who wrote the majority decision. And the left is scared to death over this, and they’re out there saying, “Don’t worry. It’s very, very narrow. It’s a very narrow interpretation, and it’s not a constitutional interpretation, so don’t worry about it.” But they can’t stop worrying about it. CNN hasn’t stopped analyzing it, hasn’t stopped talking about it. The reason they’re trying to say it’s narrow is that the court’s ruling today did have a lot to do with the way the baker was treated by the Colorado Civil Rights Commission. They called him a Nazi. They said he was a Holocaust denier. They gave him the usual deranged, insane left-wing insults at the hearing at the Colorado Civil Rights Commission on this dispute, whether he should have to bake a cake for a gay wedding. He said he didn’t want to, it violated his religious beliefs. And the court said we can’t have this kind of decision-making. We can’t have this man’s religious rights denigrated in this way by the Civil Rights Commission. So in a sense, the ruling was not constitutional, but, folks, to tell you how important this is and how big it is, you have to look at what would have happened if it had gone the other way. If the court had ruled that this baker was required to bake this cake for a gay couple in violation of his constitutional protections, the freedom to practice his religion, if he had lost this, you don’t think the left would be out there saying, “Well, it’s not that big a deal. It’s just pretty narrow.” They would be dancing on graves right now. This is a huge deal and don’t let anybody tell you it isn’t. The left is just trying to provide solace to its lunatic, deranged base and to keep them from feeling entirely, totally defeated. But, you know, there’s another question here that needs to be asked, and I’ve asked this before. This was a fight that was provoked by the militant political gay movement. 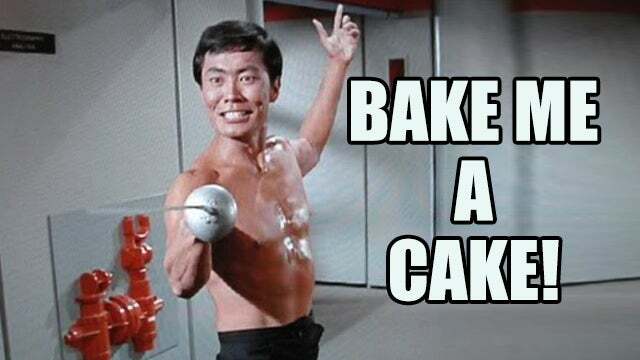 They targeted a religious baker and chose this guy to make a case. They could have gone any bakery in Colorado. They could have gone to any bakery in Denver. They could have gone up and down the interstate anywhere they wanted. They could have found somebody who would have happily baked them a cake. But they didn’t do that. They targeted somebody that they knew wouldn’t bake them the cake or thought wouldn’t bake them the cake because this is how the left operates. The thing to take away from this is what the left wants. The left is anti-liberty. The left is very comfortable denying anyone who disagrees with them their freedom, including constitutional freedoms. Now, here is the story from Fox News on this. Well, I can give you the basics, the down and dirty. Headline: “Supreme Court Sides With Colorado Baker Who Refused to Make Wedding Cake — In a 7-2 decision, the justices set aside a Colorado court ruling against the baker — while stopping short of deciding the broader issue of whether a business can refuse to serve gay and lesbian people.” And in that sense, it wasn’t that broad. This was not a ruling that covered all businesses. It was about this particular episode. Ginsburg! That’s right. Ruth “Buzzi” Ginsburg and Sonia Sotomayor. Wait, I keep getting… Yes. There we go. The court, it is said here by a couple legal beagles, “did not resolve the entire conflict between religious belief and anti-discrimination law.” But again, folks, the way to look at this… The guy’s name, by the way, the cake shop, Masterpiece Cakeshop, and one of the factors here is it was ruled that this guy is an artiste. He’s not just, you know, go getting a box of Betty Crocker and putting some flour and water in it and bake a cake. This guy is an artiste. As such, you could not compel, say, Degas to do a portrait of somebody he didn’t want to do a portrait of. It was sort of relevant in this case where you can’t compel this baker/artist to create art for occasions he disagrees with. It really was a factor, because this is a custom bake shop. But I’m gonna… You know, where you listen to the left talk about how this is very narrow and not that encompassing. Imagine how you would feel today if it’d gone the other way, if by a 7-2 vote in the Supreme Court they had ruled that Christian religious freedom essentially doesn’t exist or didn’t in this case. I mean, the left would have been on this, and they would have been marching into every religious business they could find and challenging it, starting late this morning, certainly early this afternoon. They would have been out there doing everything they could to maximize this. So, as far as that — even though it’s just an individual case — the Supreme Court stood up for religious liberty, First Amendment in a major, major way.